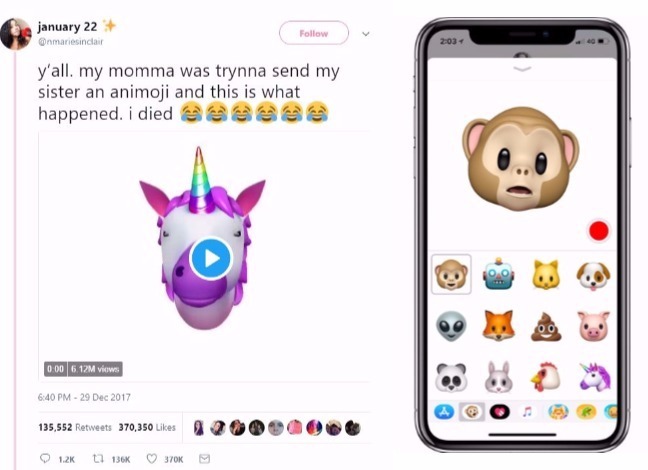 A user on Twitter who goes by the name nmariesinclair was not expecting her mom's Animoji message to go viral. The mom in an attempt to inform her daughter that she is on her way home and will be grabbing some Chick-fil-A, suddenly gave in to a fit of cough due to suffering from Bronchitis which got recorded and sent to her daughter. That 10 second message was posted to Twitter which instantly went viral and has been viewed over 6 million times with over 130k retweets and 370k likes. After realising that her message had gone viral, the mom sent her another message explaining why that happened. Many users showed their concern and even suggested that the mom quit smoking despite the 2nd video going up stating she suffers from Bronchitis. I do hope your mom is feeling better… please tell her we weren't laughing at her, we were laughing at the situation.